Shop around for the best terms. An equity loan is typically a sum of money you borrow from a financial institution using your house as collateral. Equity loans are typically easier to apply for and be approved for than standard loans because the qualification criteria is based partly on the value of your home as well as your credit score and debt-to-income ratio. Prepare your house for appraisal. A lender will require a home appraisal as part of the loan evaluation process. An appraiser will compare your home to others in your area, as well as factor in the value of upgrades or amenities that have the potential to make your house worth more money. An appraisal may be done with or without an interior inspection of your property, but to present your home in the best possible light, repair minor cosmetic issues. You want the appraiser to see that you take good care of your property. Get your financial paperwork in order. If you aren't going to the financial institution that holds your mortgage, you may be asked to provide specific mortgage documents that show how much you owe on your current loan. You may also need to show proof of income, which can be verified through recent tax returns and paycheck stubs. The lender will let you know what other paperwork or documents you need to get the loan application process going. Shop around. Even if you get letters of interest or phone calls from financial groups trying to get you to take an equity loan, it's wise to shop around for the best terms and rates. Every loan product has slightly different conditions you should be aware of, including closing costs, prepayment penalties, interest rates and repayment terms. 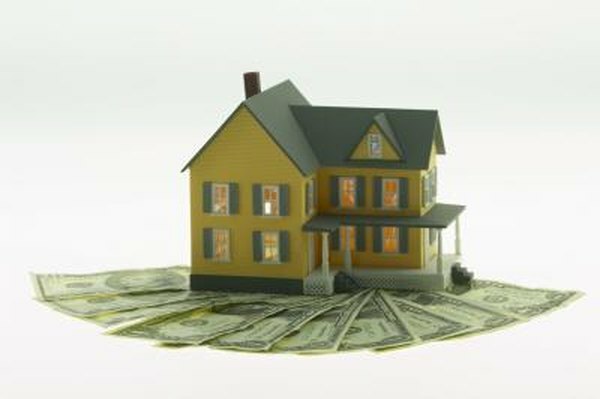 Keep in mind a home-equity loan is a lump sum cash payment while a home-equity line of credit is similar to a credit card in that you have access to a certain amount of money, but you don’t have to use it all. When you use your house as collateral for an equity loan, if you fail to repay the loan per the terms of your agreement, the financial institution has the right to repossess your home.